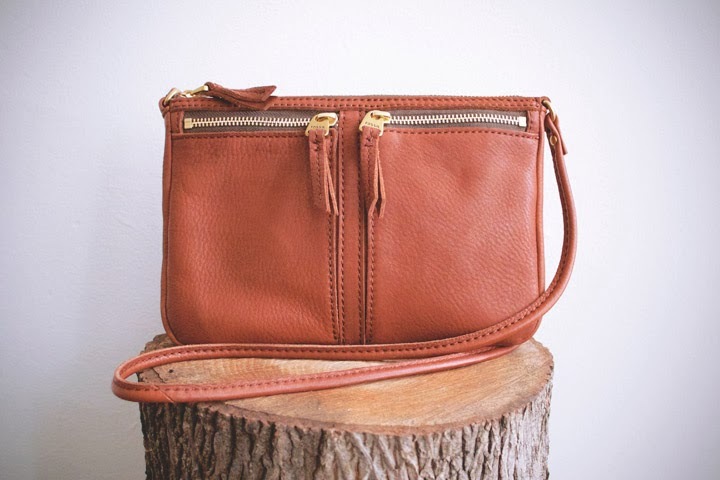 FOXTAIL + MOSS: STYLE: What's in your bag, Claire? 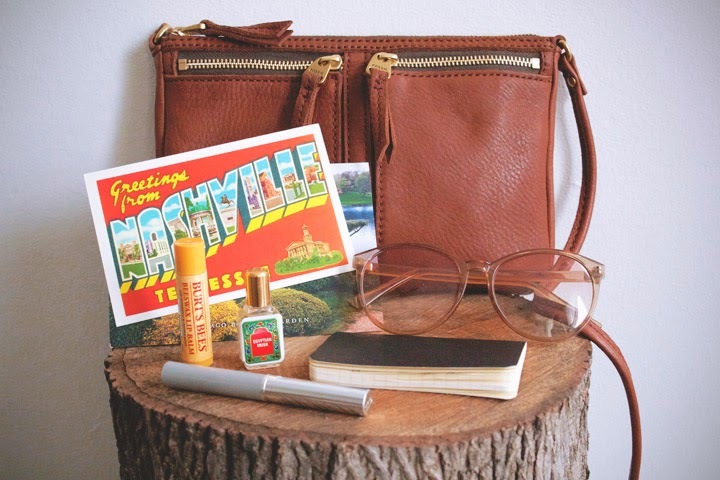 STYLE: What's in your bag, Claire? I'm starting off the New Year with a new purse and couldn't be happier! Noticing that every time I bought a purse they were getting larger and larger, I decided to downside to a smaller one. It was getting quite annoying having to dig through a giant purse to look for one item that half the time I couldn't find without dumping everything out. This Fossil purse is a perfect for me. Since it's smaller than what I'm used to, it forces me to really think about what I carry with me (which I like!). Below is what you'll find in my purse these days.